Its time to get moving! 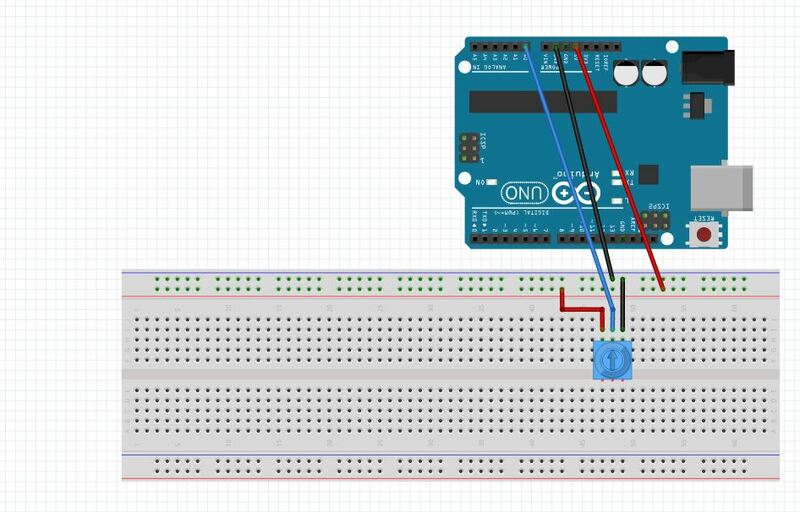 In this project we show you how to get things moving with Arduino. You will need an arduino, a servo, a potentiometer and some wires. If you have the sparkfun inventor kit, it has everything you need (You can pick up the inventor kit HERE). For this project, our objective is to control the position of a servo based on the setting of a potentiometer. The servo should “track” the position of the potentiometer. In order to do this, we will need to start with our Voltage Divider Potentiometer circuit from LESSON 10. In addition, we will need to hook the servo up. for the servo in the sparkfun kit, it has three wires . . . red, white, and black. The red line is for power, so it should be hooked up to 5V from the arduino. The black line is ground, and should be hooked up to ground on the arduino. The white line is the control line, and it should be hooked up to one of the arduino pins with a squiggly line. For this example, I am using pin 9. The small servo that comes with the sparkfun kit can be powered directly from the arduino. Understand that many servos draw lots of power, and require a separate power supply, and just the control line connects to the arduino. Realize that you must be careful and not hook a larger servo to the arduino for power, as that can damage your arduino. The one in the sparkfun kit can be driven by the arduino without a problem. Also, some servos have a different color code on the wires. Many have red/orange/brown wires. For many of these types, the red is for power, the orange is for the control line, and the brown is for ground. Be sure to check the instructions on your servo to verify the color code. As a reminder, this is circuit diagram for the potentiometer, which you will be using in this project. This simple circuit allows you to create a voltage divider with a potentiometer, which we will use to set position of the Servo. Most servos are designed to be operational in a range from 0 degrees to 180 degrees. The truth is though, that most will not operate over that full range. Also, you need to know that overdriving the servo beyond the range it wants to be in can damage both your arduino and your servo. Each servo is different, and sometimes two servos with same model number from the same manufacturer will have different ranges. Especially in the cheap ones (like in the sparkfun kit) have very different ranges. This command goes to ‘pos’ which should nominally be between 0 and 180. But remember that most servos will not go over that full range, so we will need to play around to see what range our servo can safely achieve. Also, the short 15 millisecond delay after moving the servo gives it time to get there and settle down. Never try and write the servo faster than it can naturally move. What you need to do now is write a program that will input the user for a position, and then write that position to the servo. The purpose of this is to determine the natural range of your particular servo. You should write this program yourself, but if you get stuck you can look at my code below. You should use this as a help if you need it, but your should not cut and paste it. Write your own code! OK, with this code we should see the arduino prompt the user to a position and then write that position to the servo. The thing to do with this code is play around and figure out what range of motion your arduino can achieve. If you arduino sits and twitches, you have probably overdriven it. Keep playing with the numbers until you determine the range your servo can sweep to without jittering. Once you know that range, you can play around with the code and the servo. Create a program that will smoothly sweep the servo through its range of motion. For my servo, I created the following code. Again, play with it yourself, and use this code only if you get stuck. Also, realize that my servo operates from 15 to 170 degrees, so that is why I used those numbers. You need to determine the range of motion for your servo, and use those numbers in the program. Now we need to write a program that will set the position based on the position of the potentiometer. We want the servo to point to the left if the potentiometer is positioned all the way to the left. Similarly we want the servo to point to the right if the potentiometer is all the way to the right. We need to do the math carefully to make sure that we do not try and overdrive the servo. You must assume the user has no knowledge of servos and will turn the potentiometer to any position. In order to make sure the servo is not over-driven, you must carefully do the math. For this case, what is the independent variable? It is the number coming off the potentiometer. That is what you or the user “sets”, that is the independent variable, that is the horizontal axis. Now, what is the dependent variable? That is the pos (position) number. That is what you want to calculate from the independent variable. To do the math, think about the two points you know. You know that the potentiometer reads from 0 to 1023. You know that for my servo (yours will be different) the range of useful motion is from 15 to 170. So, when the potentiometer is set to 0 we want the position to be 15. There, you have one point, the point (0,15). Now we also know that when the potentiometer reads 1023, we want to position the servo at 170. So, now we have another point, the point (1023, 170). Now we have two points and can create the equation that will allow us to calculate the Pos based on the reading from the potentiometer. You should be able to do this by yourself now, but if you get stuck you can look at my notes. Remember, you need to do it for your values of useful range on the servo, not my numbers of 15 and 170. So with this equation you can now calculate a pos for the servo based on the reading from the potentiometer. You should be able to write the code now to control the servo position from the potentiometer. If you get stuck watch the video that provides step-by-step directions on the code. Robert, these lessons are for High School Freshmen. 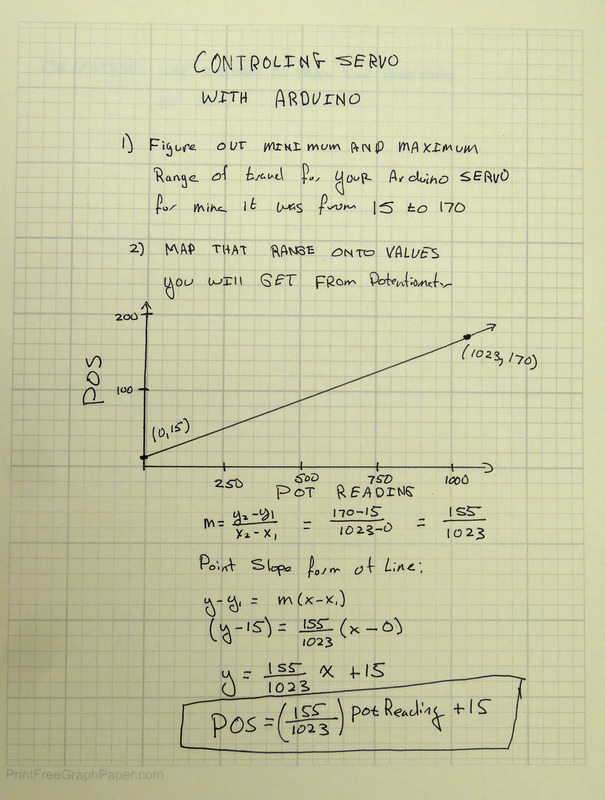 As such, I am trying to use the lessons to emphasize practical applications of the math they are learning, hence I go through math showing that the equations of lines can be used to solve problems on the arduino. Also, since these students have never programmed before, I try to show code that is understandable, not necessarily the most efficient or elegant, but the easiest to understand. Could you please explain simply what you did with this coding? Did you watch the video? I explain it step-by-step. Just a word of warning. I’ll try to keep it short. I am using the Arduino Pro Mini and up till now I have been following along, writing the code and performing the experiments with out problem. I have an application for the Pro Mini, using 17 servos, throwing turnouts on a model railroad. The sketch has already been written but I want to learn how to write my own. I was doing the trimpot controlling the servo and had it set at midpoint when it died. I had bought a bunch of these so I stuck a second unit in the setup and tried again. When it also died I thought about it for a moment. These work fine in practice but in practice I will not be moving them or writing to them repeatedly, only when the turnout needs to move. Driving a servo constantly may be ok for the Arduino you are using, but not for the Pro Mini. disregard! it turns out that my USB to Serial cable only works for a little while, the Pro Mini is still good. It (the cable) worked fine till now. Now it works for about five minutes. Have ordered replacements. The servo does not have a resolution greater than 1 degree, hence I just declared it an int. Also, using it as the index on the for loop makes it more reasonable to keep it an int. For amazing tutorials, we are blessed to have Professor like you. Thank you for these tutorials I am learning at an older age and it is fun! Yours are the easiest tutorials to understand that I have found. Thanks for the videos Paul, they are very helpful. In a previous video we found that the highest voltage code from the potentiometer is 1023. In the text above it is captured as 1083. The calculation photo shows 1023. Perhaps a typo or is there a concept we don’t know yet? Good catch . . . I fixed it. Thanks! Dear Paul, Thank you for the tutorials. Could you please clearify why you did not //Declare potPin to be an input in the void setup at the last project this lesson? How come the arduino still recognized it to be an input? & if it does, why are we declaring it to be an input in lesson 10? how bout a simple explanation for the coding you just shared with us? We should always declare our variables and do our pinmodes. If I missed one, it was a mistake. Things might work, but it is a bad practice. Thank you Paul you have made my day. 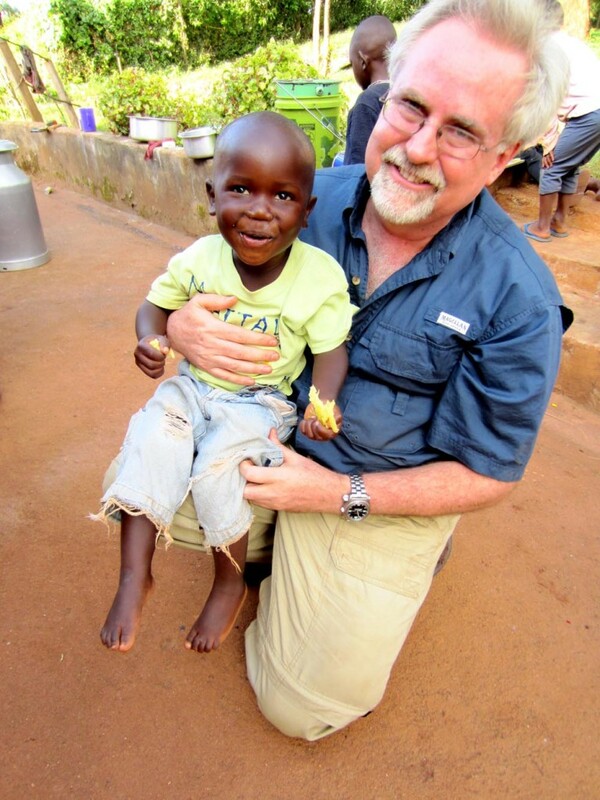 Thank you Paul for the good work, I am bless to have you. My question is; you declare a variable to store the servo position to zero (pos=0) but in the void loop, in for loop, the pos is 15, for (pos=15; pos<=170; pos=pos+1), it is working well but I don't understand why they are different (0 and 15). Servo’s can be flaky / jittery at the end of their movements if forced to drive to point ‘0’ and point ‘180’ so moving end travels maximums to point ’15’ and point ‘170’ is easier on the mechanism. hello sir i am watching your all tutorial videos of arduino and its really awesome and simple for students like us.i have a request sir please make a tutorial with TFT screen shield and a Shift Register IC used project.i am waiting for respose sir thank u for your all efforts for making it .i Watched and write code by myself and you videos help me a lot. You are the best tutorial giver i’ve ever seen… ur works r detail.. tnx sir. But i hv one question. So what should be the electrical circuit between the arduino pin and the motor , just to control the motors sequence. Very clear lesson Arduino 16 Servo: which I followed to the letter ( even copied the text to be shure), when my servo did not follow your example. When writing a position via the “while-loop” , it correctly positions the servo to the requested position, but less than a second later it repositions itself to zero. What am I doing wrong?? or is it a broken servo?? Make sure you have power connected to sufficient power. Not all servos can operate off arduino supplied power. The servo I used was a SM-S2309S. Soo, I bought a 4AA batterypack and connected it to another servo I found in my box (Tower Pro microServo99 SG90) . Started the program and the servo was quiet, via the monitor I put in the degrees and hit return. The servo responded to the correct angle and then returned by itself to zero deg and from there it just kept on rotating clockwise, 360 degrees. Arduino A9 as output to servo (via orange servo lead ). the monitorresponse . . .
Where would you like the Servo?
. . . and here it just keeps on spinning without any further inputs. If I do another input, it responds with that deflection and returns to zero and starts spinning. Coupling the power to the arduino, just makes the servo turn slower (less power). hooking up the SM-S2309S. . . . . It responds to the correct angle, but returns to zero again, waiting for next input. – – – ruling out a faulty servo gave me more time to investigate. The error finally emerged when selecting the serial monitor “line ending” to “no line ending”. Did not understand that it had such an impact on the behaviour of the servo. So. . .all back to normal. 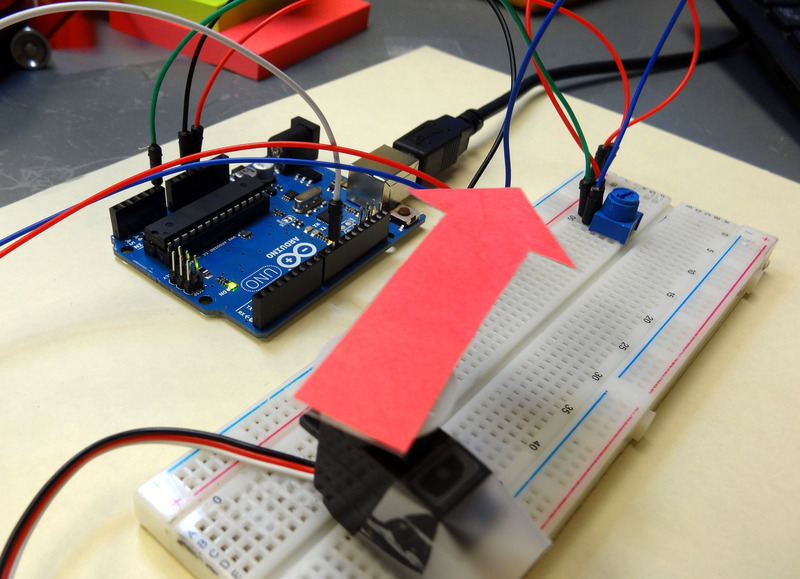 Depending on servo, you can damage the arduino by connecting a servo to it. Take servo off, unplug arduino, plug it back in and see if bare minimum demo program will download.